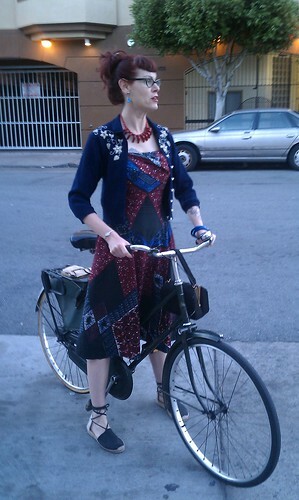 This beauty and her bike were among the guests at a series of classic bike film shorts at Oddball on Capp Street. 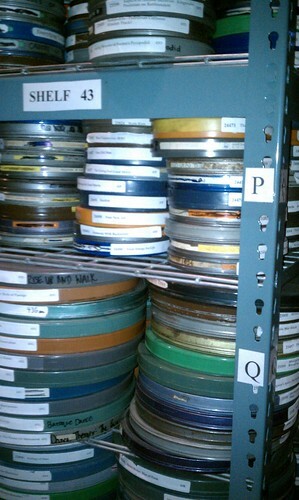 Oddball is an amazing labryinth of film reels with a little upstairs theater. 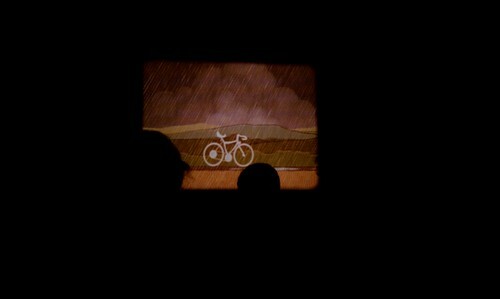 That night, we saw vintage bike safety films, as well as soome, classic car propaganda by GM. Get off those silly bikes, y'all.